: AVAILABLE FROM THE END OF APRIL! 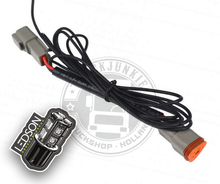 Can be set with orange and white position lamps !! 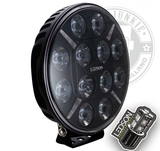 - Tough black 9 "LED spotlight with striking position light! TIR stands for Total Inner Reflection and means that all the light is effectively reflected and directed before it is sent out of the reflector. The spotlight (the light that is not directed but that "unconcentrated" from the illumination disappears without any use) is minimized. A traditional reflector steers and focuses most of the light, but far from everything. In short, you get more efficient light on the road and benefit optimally from every LED on the outside light with the TIR reflectors! Driving Beams reflectors are all computer controlled and manufactured to offer a comparable light image as a combo, but more consistent and within the limits of what is legal. It mimics and improves the existing headlight and the light image of the car. 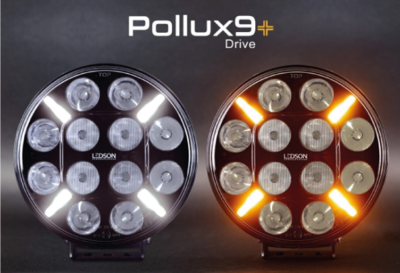 Pollux9 LEDSON spotlight 9 "